JioFiber may be coming soon. Jio made some big announcements Today at RIL's 40th AGM meeting. The company revealed its plans to disrupt the phone market with its new JioPhone- a 4G feature phone with several smartphone-like features and essentially free of cost. However, JioPhone is not the only big thing coming from Jio this year. 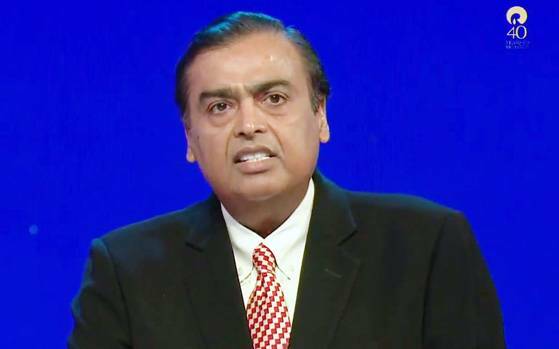 The company's chairman has confirmed that Jio is working on a high-speed broadband services and may soon go live. "Creating fixed-line high-speed broadband services is the next leap forward for our country. Jio remains well on track to bring world-class optic-fiber connectivity to enterprises, small businesses, homes and public spaces. Most of Jio's infrastructure for providing these services is already in place. This is the next big monetisation opportunity for Jio. I will regularly apprise you of the progress we make in each of these areas," Mukesh Ambani, Reliance Jio's chairman, said at the event. The JioFibre is company's long rumoured optical Fiber to the Home (FTTH) broadband service and has been in news for quite some time now. There are talks that Jio is already conducting trial runs of the FTTH service in six key cities and the company even accidentally revealed the tariff plans for its FTTH services. Reportedly, JioFiber will initially roll out a Preview offer. Users will have to pay an installation charge of Rs 4,500 which is refundable. There are rumours that the registration for JioFiber will take place in Hyderabad, Ahmedabad, Delhi, Kolkata, Mumbai, Jaipur and Vadodara. There are speculations that the JioFiber Preview offer will give free internet for 3 months but with a FUP limit. There is 100GB 4G data and once the limit is reached, the speed of the service reduces to 1mbps. JioFiber, when launched for all, is expected to deliver up to 1GBps of speeds. Reliance Industries at its 40th annual general meet unveiled its long-rumoured 4G VoLTE feature phone dubbed as JioPhone. The phone will effectively be free but buyer needs to pay Rs 1500 as security deposit which will be refundable for 36 months or 3 years. The phone comes pre-bundled with a Rs 153 plan which offers unlimited voice calls, data, SMS and Jio apps on every monthly recharge.